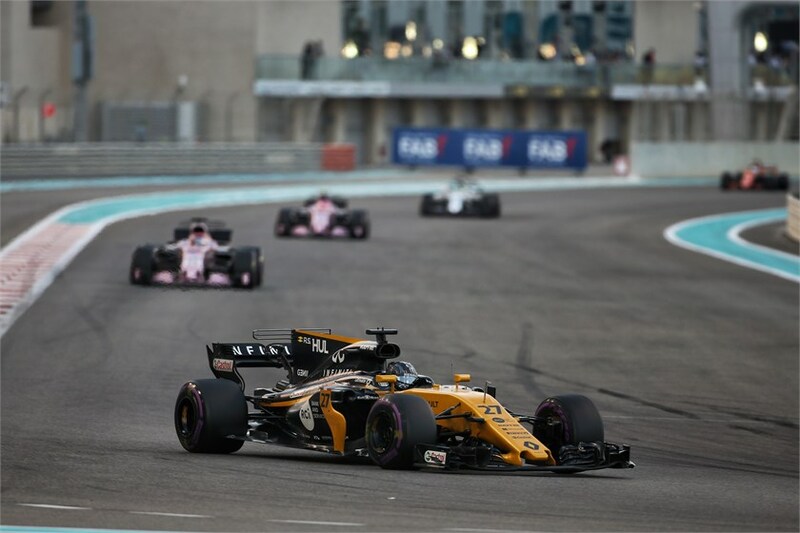 Renault Sport Formula One Team clinched sixth position in the FIA Formula One World Championship in Abu Dhabi Grand Prix with an outstanding sixth place finish for Nico Hülkenberg. The team went into the weekend needing five points to move into sixth, but thanks to a mature team performance and measured drive from Nico, notched up eight points to achieve its aim. "It was a bit of a thriller! It was a very interesting first lap, then very interesting again after the stop when I had to get past the Haas, which was super-fast on the straights and obviously I had Checo right behind me waiting to take advantage."